Maths worksheets and other resources about ratio and proportion. This page includes one of my new instructional videos on how to split an amount into a given ratio. 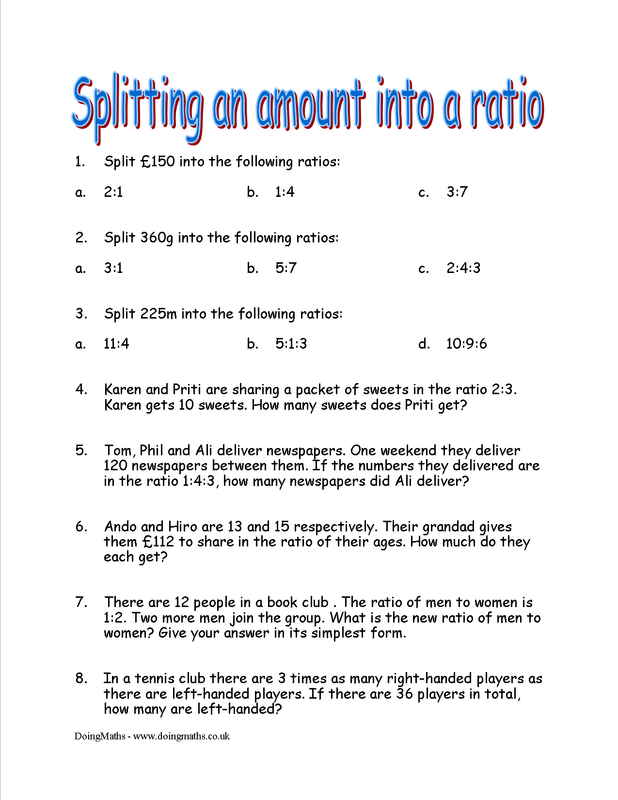 A worksheet containing questions about splitting an amount into a ratio. |This includes some basic splitting questions using ratios of two or three parts, followed by some worded ratio questions. A video on how to split amounts into ratios, created by me and hosted on YouTube. 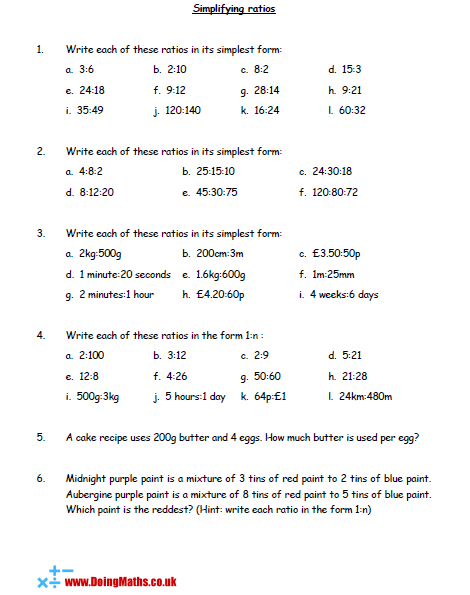 This worksheet contains questions about simplifying ratios, both into their simplest form and into the form 1:n. It finishes off with a worded question on comparing paint colours by simplifying to 1:n.
A video on how to simplify ratios and how to reduce them to the form 1:n.